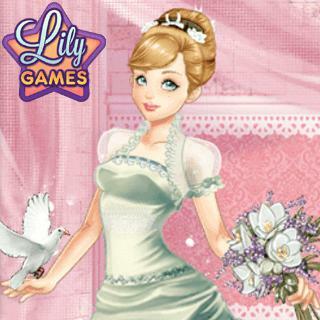 Play Wedding Lily and more Girls Games on Games1.com! It's Lily's big day! In this lovely new title of the popular Lily series, you have to help her dress up for her dream wedding! Choose your favorite dress from many different cultural styles, pick a gorgeous hairstyle and put on a pair of matching shoes. Finish her look by selecting cute accessories and create the most beautiful bride the world has ever seen. Ready to walk down the aisle?